Professional Products designed by Isaac Elias MD, MS, LAc. Used to promote optimal cellular heath through clinically-studied modified citrus pectin. 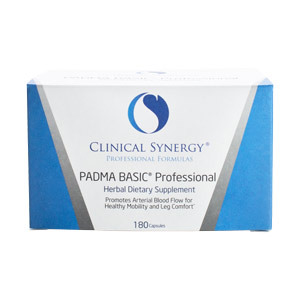 Clinical Synergy PectaSol-C contains Modified Citrus Pectin derived from citrus fruit. Clinical Synergy PectaSol-C is produced using a proprietary process that carefully controls both the molecular weight (MW) and degree of esterifcation (DE). The specific low molecular weight size range of Clinical Synergy PectaSol-C allows easy absorption into the bloodstream with the effective range of molecular size and esterification. The veggie capsule contains natural vegetable cellulose and water. Active Support: Take 6 capsules of EcoNugenics PectaSol-C 3 times a day. 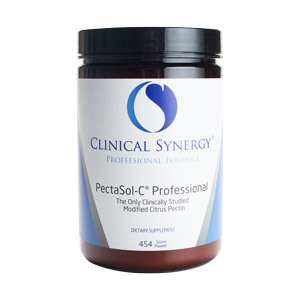 Long-term Support: Take two capsules of Clinical Synergy PectaSol-C 3 times a day. Clinical Synergy PectaSol-C is designed to be taken on an empty stomach. Take caps at least 30 minutes before eating, or 2 hours after eating. Take 2 hours before or after consumption of other medication and supplements. Each Capsule contains 800mg of MCP. 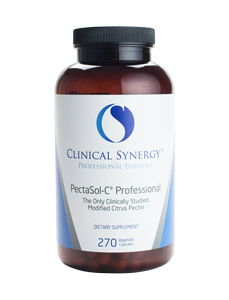 Clinical Synergy PectaSol-C contains Modified Citrus Pectin derived from citrus fruit. PectaSol-C is produced using a proprietary process that carefully controls both the molecular weight (MW) and degree of esterifcation (DE). The specific low molecular weight size range of Clinical Synergy PectaSol-C allows easy absorption into the bloodstream with the effective range of molecular size and esterification. 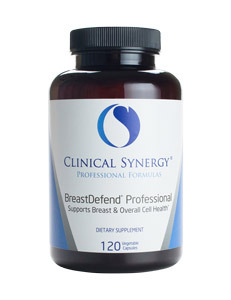 Active Support: Mix a 5g scoop of Clinical Synergy PectaSol-C into liquid, 3 times a day. Long-term Support: Mix one 5g scoop of Clinical Synergy PectaSol-C into liquid once a day. Clinical Synergy PectaSol-C is designed to be taken on an empty stomach. Take at least 30 minutes before eating, or 2 hours after eating. Take 2 hours before or after consumption of other medication and supplements. EcoNugenics PectaSol-C Lime Infusion contains Modified Citrus Pectin derived from citrus fruit. The lime flavouring consists of citric acid, natural lime flavour and stevia leaf extract. EcoNugenics PectaSol-C is produced using a proprietary process that carefully controls both the molecular weight (MW) and degree of esterifcation (DE). The specific low molecular weight size range of EcoNugenics PectaSol-C allows easy absorption into the bloodstream with the effective range of molecular size and esterification. Active Support: Mix a 5g scoop of Clinical Synergy PectaSol-C Lime Infusion into water, 3 times a day. Long-term Support: Mix one 5g scoop of Clinical Synergy PectaSol-C Lime Infusion into water once a day. 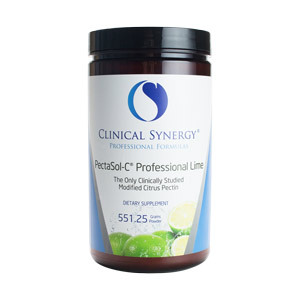 Clinical Synergy PectaSol-C Lime Infusion is designed to be taken on an empty stomach. Take at least 30 minutes before eating or 2 hours after eating. Take 2 hours before or after consumption of other medication and supplements. Promotes breast health, cellular health, healthy hormone balance, and healthy immune system function. Serving Size: 4 capsules Amount per serving: Cellular & Immune Blend: Quercetin (98% bioflavonoids), 238mg Scutellaria barbata leaf extract 238mg Curcuma longa (BCM-95) 238mg Astragalus membranaceus root extract 237mg Herbally Enhanced Mushroom Blend: Trametes versicolor 169mg Reishi (Ganoderma lucidium) 169mg Phellinus linteus 169mg Diindolylmethane (DIM) 200mg Non-medicinal ingredients: Magnesium stearate, microcristalline cellulose, and silicone dioxide. For active support, take 2-4 capsules, twice daily. For long-term maintenance, take 1-2 capsules, twice daily, or as recommended by your healthcare practitioner. For active support, take 3 caps, twice a day. For long-term support, take 2 caps a day. 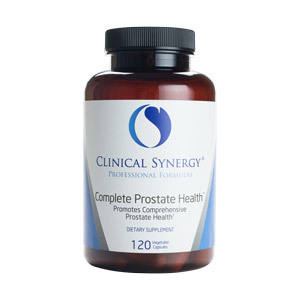 Helps to support prostate health and a source of antioxidants for the maintenance of good health. As a dietary supplement, take 2-6 capsules, 2 times daily with food, or as recommended by your health care practitioner.